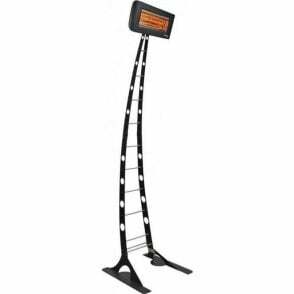 • Elegant Italian-designed infrared heater and stand. 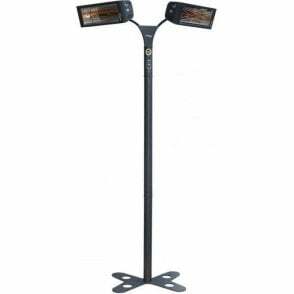 • Versatile - suitable for indoor or outdoor use. 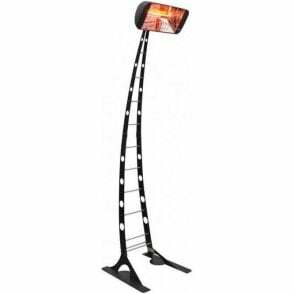 Elegant modern Italian 1.5kW quartz halogen heater and stand combination. 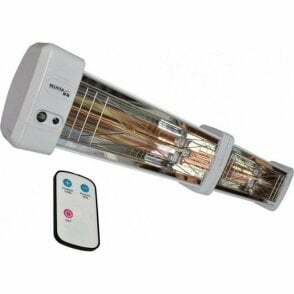 The heater is IPx5 rated and may be used out of doors in all weathers. Stunning looks will grace any contemporary interior or terrace. 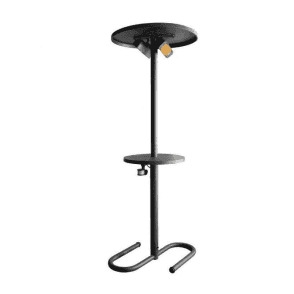 Stand and heater finished in cast-iron grey. Heater height 2.13m. Weighted base for stability. 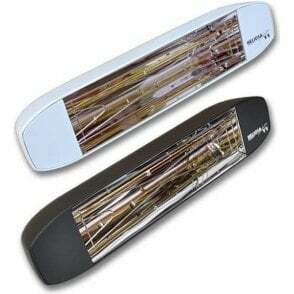 Heater is IP20 rated and is suitable for use indoors or in covered, weather-protected outdoor areas. Supplied with a 5m cable and plug. 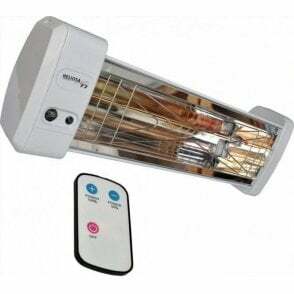 The SCALA stand is available separately for use with other heaters. An IP20 2kW version (Heliosa 991) is also available for use indoors or in weather-protected outdoor areas. Stand Material: Mild-steel powder-coated Carrera gloss white. 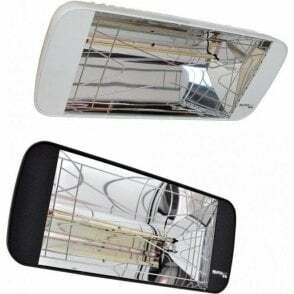 Heater Material: Aluminium alloy casting powder-coated Carrera gloss white with polished aluminium reflector. 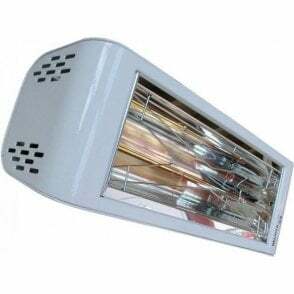 Heater dimensions: 45.5 x 13 x 9 mm (wdh). Base dimensions: 50 x 38 cm.